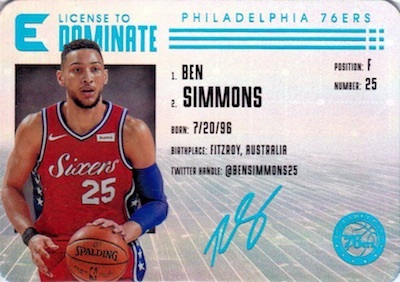 Sticking to the "essentials of collecting," 2017-18 Panini Essentials Basketball combines a lengthy lineup of inserts, including several super short prints, with an average of two autographs per Hobby box. 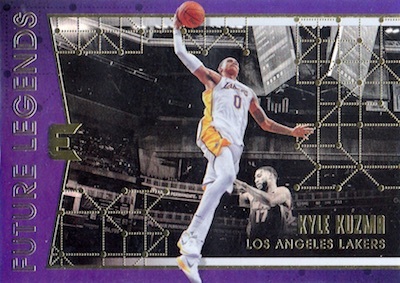 Incorporating a grid-like design into the background of the base set and many of the inserts, 2017-18 Panini Essentials Basketball is not low on color or parallels. The base offerings include Gold, Silver (#/99), Platinum (SSP), and Purple (1/1) versions. 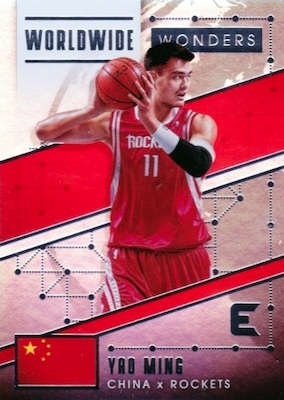 Promising 11 different inserts, choices include Franchise Foundations, Indispensable Stars, Kings of the Court, Swish Kings, and Worldwide Wonders. 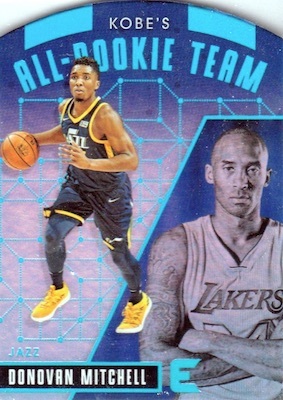 The 2017-18 Panini Essentials Basketball checklist also features SSP options with the die-cut Kobe's All-Rookie Team for 12 first-year stars, License to Dominate, which adds a facsimile autograph and resembles a real ID, and Rock the Rim. As for the hits, collectors can look forward to two autographs per box. 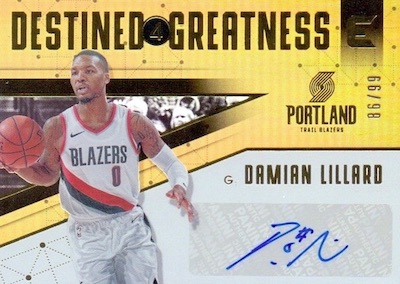 2017-18 Panini Essentials Basketball includes Claim to Fame Signatures highlighting previous NBA champions, plus Destined for Greatness Signatures, Rookie Autos and True Potential Signatures for the young standouts of the NBA. CLIFF HAGAN 2-Card 2017-18 National Treasures. Essentials. AUTO’s - 99. HAWKS. 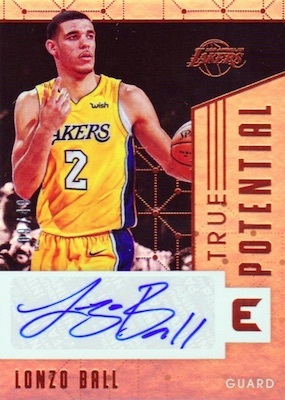 Shop 2017-18 Panini Essentials NBA Autographs on eBay. PARALLEL CARDS: Retail, Green, Orange, Red, Spiral, Platinum SSP, Silver #/99, Purple 1/1. 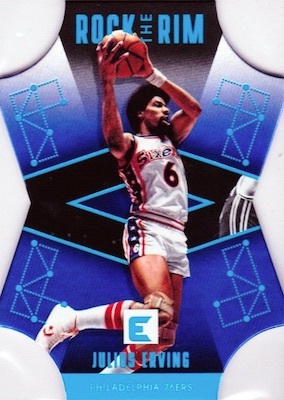 PARALLEL CARDS: Retail (No Josh Jackson*). 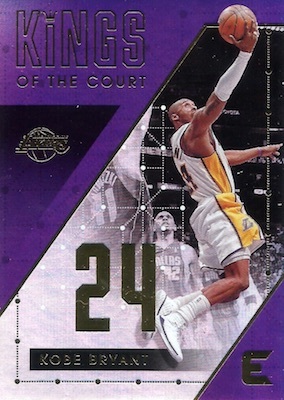 PARALLEL CARDS: Gold #/35 (Mourning #/22*), Silver #/25, Platinum #/10, Purple 1/1. PARALLEL CARDS: Gold #/35, Silver #/25, Platinum #/10, Purple 1/1. 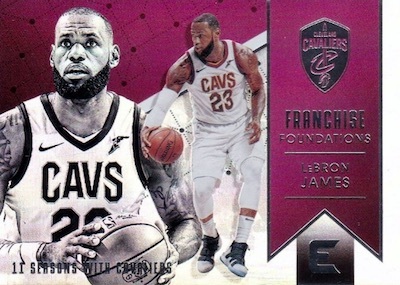 View the 2017-18 Panini Essentials Basketball checklist spreadsheet. Mock-ups appear to be sticker signatures but that was not specifically referenced in the information. thanks for the value for my money Panini..
my two hits were Matt Costello and Johnathan Motley. just red versions – why? Overall disappointed with this product. The price point is great at about $115 a box but the numbered parallels are very few and far between. The autos are all stickers and the auto list is long and packed with a lot of filler guys. After a few break buy ins, I’ve seen enough and will avoid this product. At least 20 NBA sets so far for 2017-18, with several more to come. Auto’s are stickers, but the Auto Checklist is pretty darn good for $113/box! 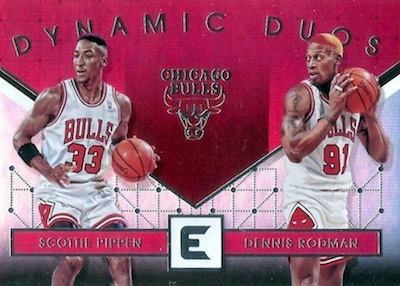 I purchased a few boxes and received two Mitchells, Tatum, Worthy, Rodman and Cowens! Great product for the buck! Are we ever gonna know what Short Print actually means pertaining “Platinum”? I’m not a fan of thick card stock, especially in a mid tier product like this. Not worth the price. In each box, you will get 1 really old average player and 1 will be from a rookie who didn’t make it this season’s top ten rookies. Prolly because the signatures of the good rookies went up now they want to keep those for future, more expensive, boxes then put the shtty rookies in these boxes. Don’t buy. I recommend to get the boxes released from the beginning of the season. Horrible effort by Panini. Cards look hideous. In my box I got Monk and Ferguson as my autos. Felt terrible after opening packs. the hobby and the retail cards? I have not seen anything that indicates the difference between the hobby and retail versions. 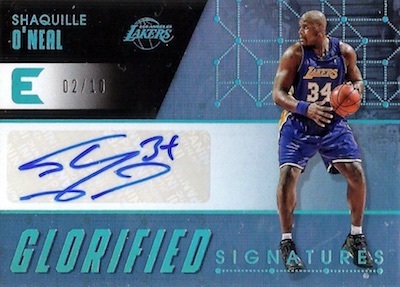 I pulled a 1/1 signed magic johnson any idea of how much it might be worth? I picked up a blaster box and a value pack from Wal Mart today. 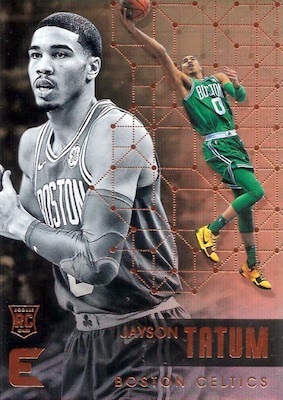 Hit Jayson Tatum rookie in each with a Lebron Essential also. Are there autos and better hits in blasters? I was satisfied but closest card shop to me is hour and 15 minute drive for hobby box. 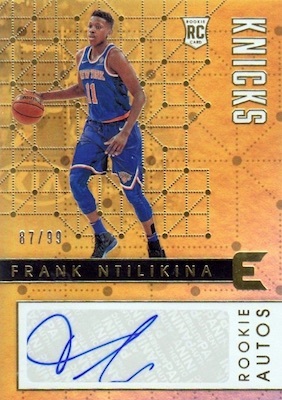 I have purchased plenty of basketball cards over the years, and this is one of my favorite sets to ever start collecting. The cards have a high quality, premium feel, and the graphics are minimal but impressive. Over all, this is an easy 5/5 for me. 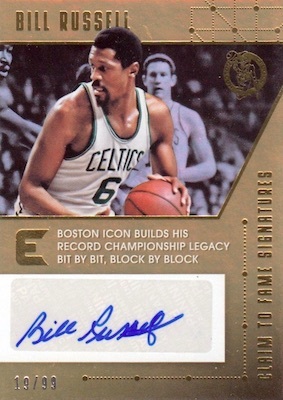 I bought 1 hobby box and my autos were Bill Lambier and Bernard King, both #’d to 25. 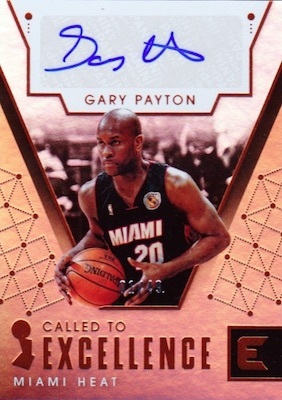 It was my understanding that you are supposed to get a rookie auto? Anyways i have bought about 10 blasters. i may have completed the whole set by now. Got 1 auto (Ante Zizic). I like the Spirals insert. Tatum and Mitchell sell well although I have yet to pull one. You get 3-4 spirals which are exclusive to blasters only. Graphics are good, cards are thicker of the inserts/parallels. My question regarding the base cards. Some are thicker? Is there a difference? 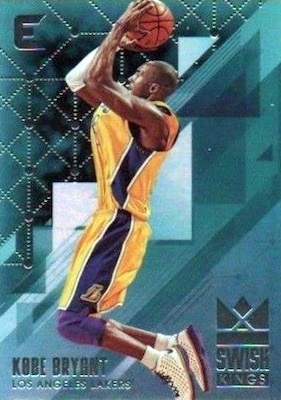 Panini dose not see to understand more insert sets don’t make the set better! In fact with the same recycled insert sets and it just drives the value of the inserts set down as well as the overall sets worth down. 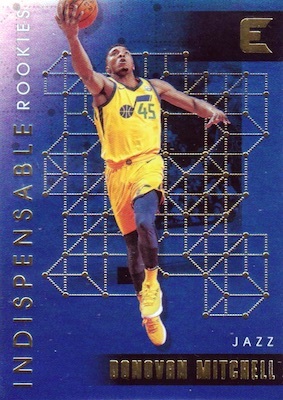 2017-18 Panini Essentials Basketball Cards are beautiful set but I have seen Rim Rockers, Dynamic Duos, Franchise Foundations, Future Legends, Kings of the Court, and Swish Kings inserts in many other sets over my 60 years of collecting basketball card. The price is a little high as well! Overall a fan, but its not a must have! I’ve bought 4 packs. My very first pack was a Marjell Fultz auto redemption. If I ever get the card, it will pay for the other packs. These are some of the ugliest cards I’ve seen since the 90’s.